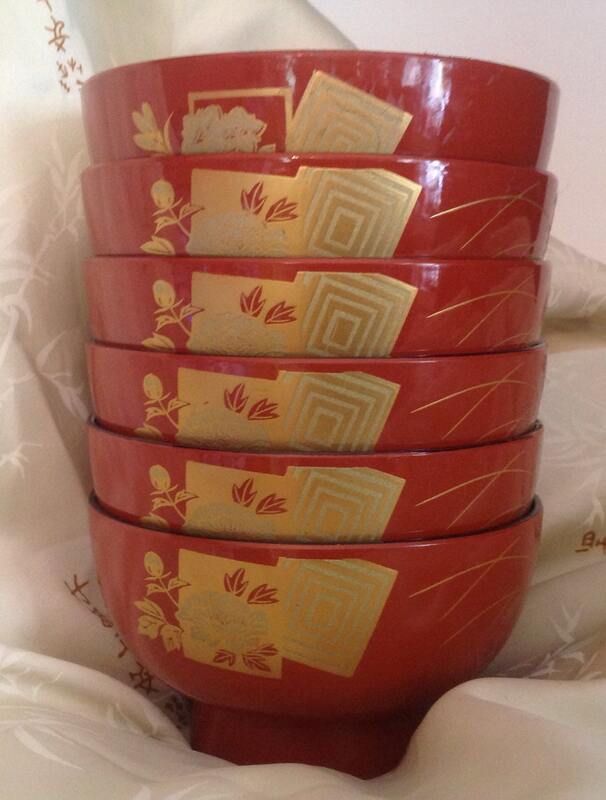 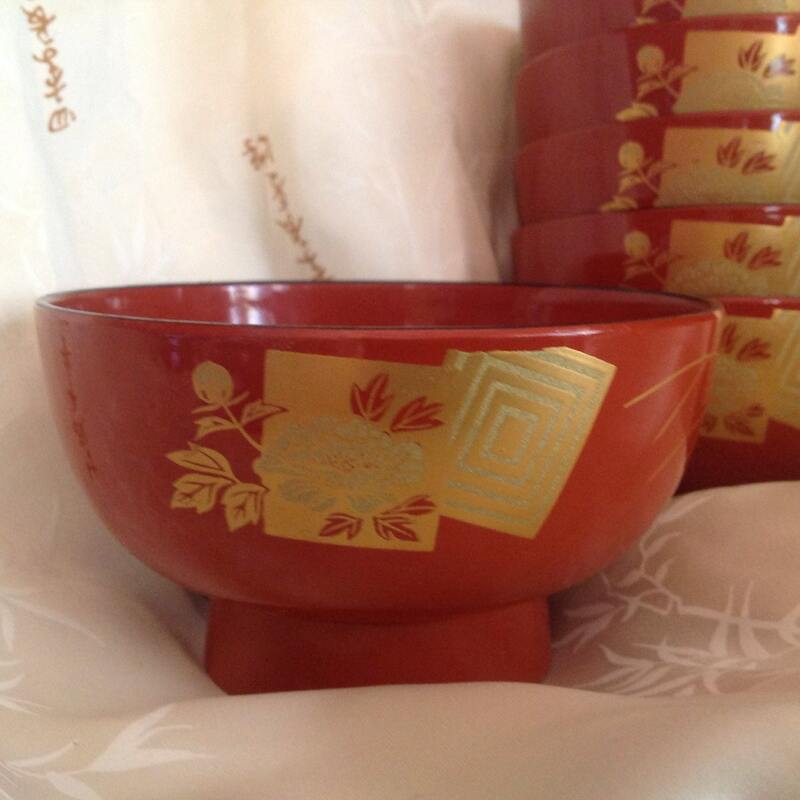 This set of 6 Asian inspired bowls are in excellent condition. 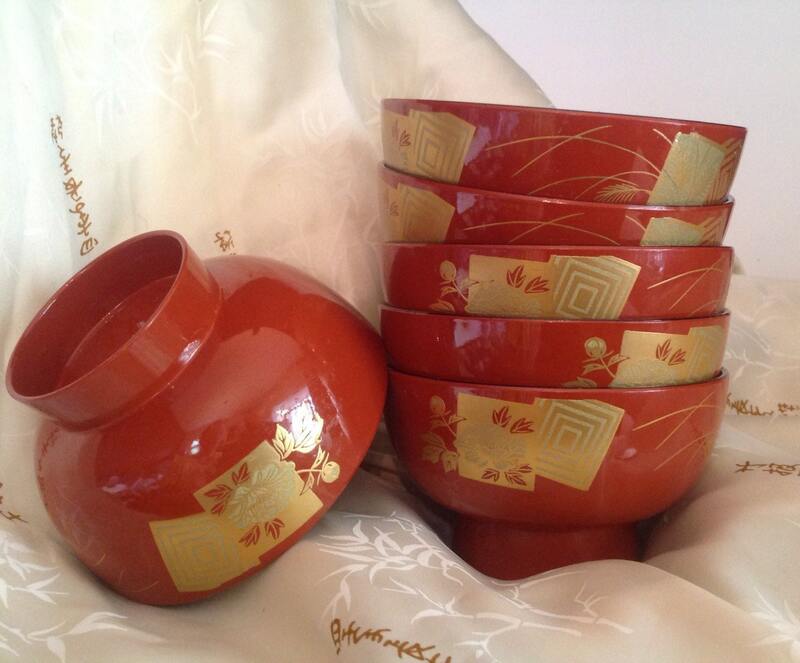 Their footed style features deep red lacquered plastic in a glossy finish. 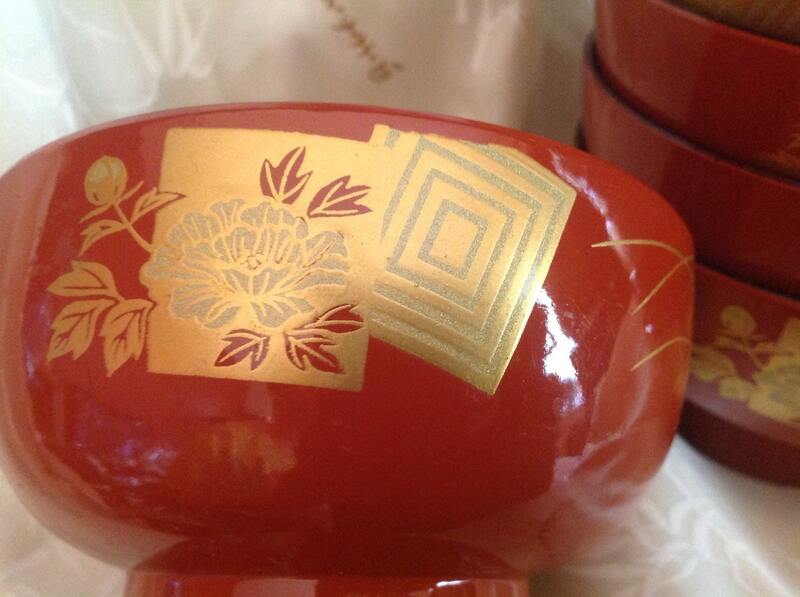 Design includes wheat, flowers and graduated squares. 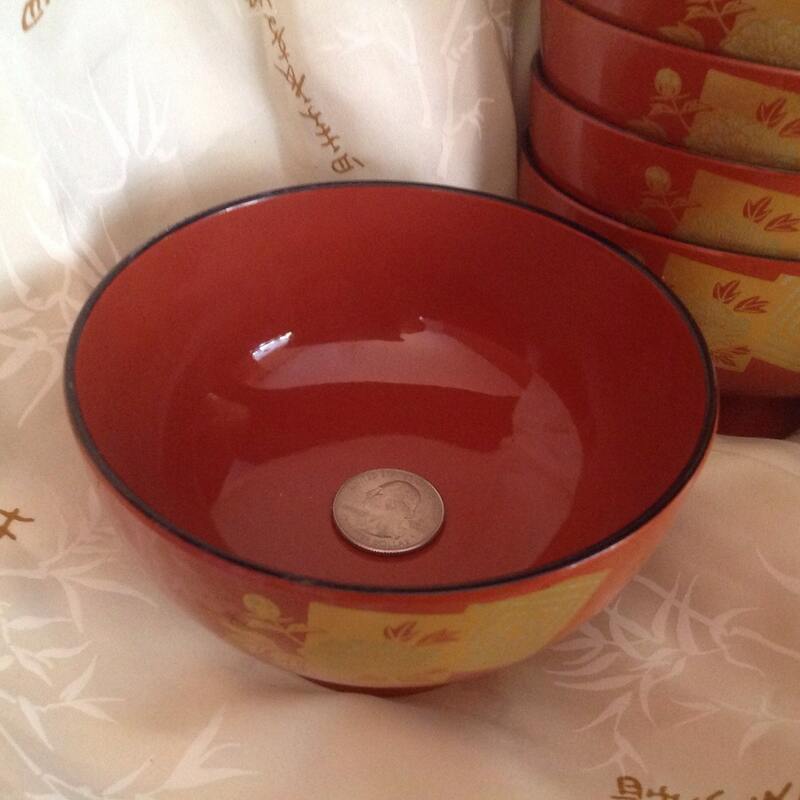 Generous in size.